This article examines the efforts of medieval physicians to explain the Galenic notion of neutrum, an intermediary, indeterminate state between health and disease. In the medieval West, debate about the existence of neutral bodies developed over the course of the 12th century. Salernitan physicians were responsible for coining new terms (neutralitas) and for raising questions and defining approaches to answer them that shaped later debates in crucial ways. Discussions intensified from the 1240s onward, as physicians grew increasingly aware of the contradiction between Galen’s relativistic concept of health and Aristotelian thought. Aristotle had cited health and disease as examples of immediate opposites. Galen’s own definition of health in terms of balance and imbalance also seemed to contradict the possibility of a middle term between health and disease. His definition of the neutrum as both true medium and distinct condition proved challenging to later generations as well. 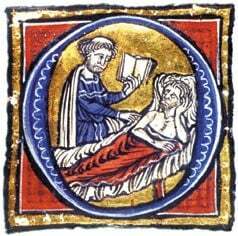 The central problem for medieval physicians was not to recognize the intermediary state clinically or to devise specific treatments for neutral bodies. This does not mean, however, that medical practice was irrelevant to medieval debates about the neutral state. This highly technical question led some physicians to claim that the notion of neutralitas – albeit philosophically unsound – allowed the physician to respond better to the specific needs of his patients. Other physicians, however, disputed the usefulness of the notion of the neutral body for medical practice and even the concept of neutrum remained fragile and fraught with paradox.